Spring has arrived in the countryside too. As we have mentioned before, we are on the edge of an Area of Outstanding Beauty – miles of heather, silver birch, broom and gorse. 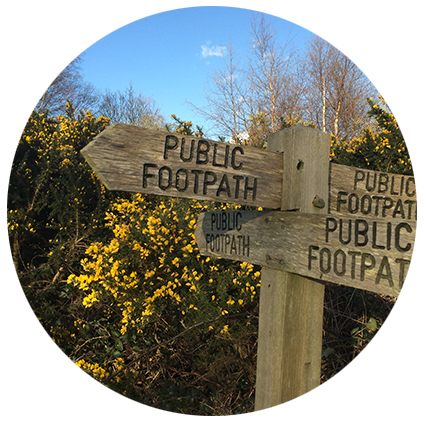 Many guests walk out to Thorpeness from the public footpath that runs at the end of the garden. In only forty five minutes, the meandering route takes them through farmland, woodland, heath and fen – before arriving at the beach. It’s stunning at any time of year but we love the spring – not least because of the incredible coconut fragrance of gorse blossom. The only challenge in such a flat landscape is finding your way around with so few reference points to help guide you. We do supply detailed guidance for the walk to Thorpeness (and lots of maps and guidebooks if you are feeling adventurous). 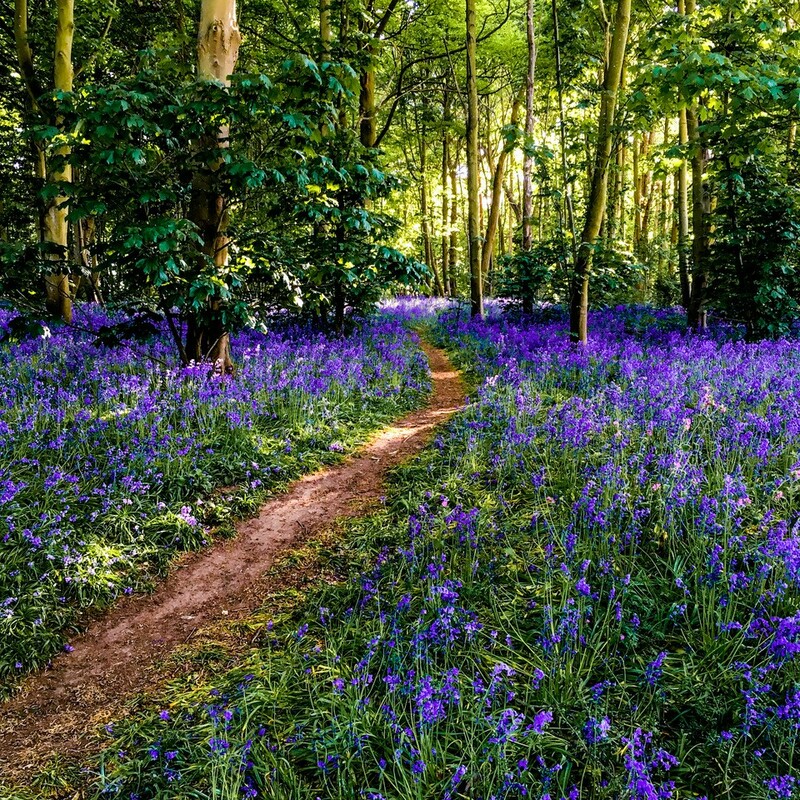 Spring wouldn’t be spring without bluebells. At the moment we don’t have many in ours (we will get there eventually) so we have to venture a little further afield – about a twenty minute drive to Foxburrow woods at Farnham. 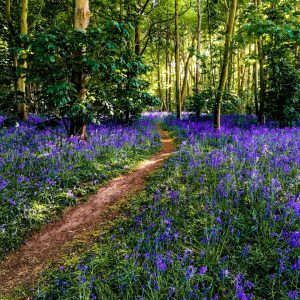 In May these ancient woods are a truly breath-taking carpet of bluebells and wild garlic. Although this wood is private, it is open to the public as long as you promise to stay on the path – which seems a pretty fair deal. Thanks to our friend – and photographer extraordinaire – Richard Wilson for this wonderful photograph of last year’s show.